Do you want to find a writing job? The world is becoming more accustomed to freelance workers, and companies are jumping on the bandwagon to get their content written by freelancers who know how to do it best. With so many good writers out there, why should companies waste their employees’ time when managers could be delegating work outside of their offices? This outsourcing creates an ever-increasing demand for freelance work, especially a writing job. From copywriting to reporting, thousands of words out there are just waiting to be written – and for a good price too. If you’ve established a good writing habit, freelance writing can bring a joyful career into your life. 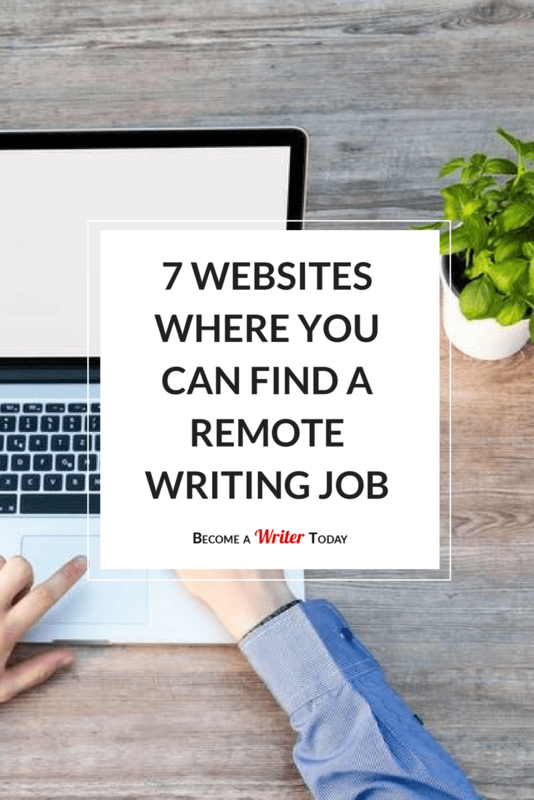 Numerous advantages accompany freelance writing: setting your own hours, being your own boss, deciding on your own rates – you can even be lying on a beach in Thailand while you work your craft. 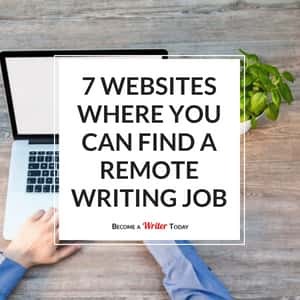 So if you’re an aspiring copywriter, how will you make sure you can land your next gig and secure the perfect remote writing job? At the start you might find yourself hustling a lot for clients, so why not check out some websites that can source work for you? There’s certainly a lot of work out there. We’ve compiled our top list of sites providing work left, right and centre for writers. Moravia is a great place to go if you’re a whizz with languages and want to find a writing job. If you’re lucky enough to be able to master more than one language, check out Moravia. This company provides translation services to a large pool of clients around the world. Moravia has been running for a number of years and helps their clients gain from a streamlined service that solves their linguistic qualms and cultural communication issues. Take a look at their website to see if you can qualify as an aspiring translator. If you’re interested in the hustle and bustle of the marketing world, SalesFolk might be the place to look. This website specializes in creating compelling and engaging cold email writing for their clients and has an impressive track record of being able to secure high lead generation rates for their impressive client base. SalesFolk also uses a variety of multivariate analysis techniques and the technical use of AI to streamline their copywriting and sales processes so clients can get the best level of service possible. SalesFolk seeks to fill a variety of writing roles, so glance at SalesFolk to see if this work appeals to you. If you like the idea of (Yep, you guessed it!) journalism, then this might be a great entry into becoming a well-established journalist as a writing job. This website has a lot of positions for aspiring writers and gives out a lot of tasks based on a variety of journalistic work. If you also are good with language and style, the company offers out frequent editing work to be done remotely, so you can get paid to correct other’s work and smooth out the creases. Ad copywriting work is also on offer, so if you like the idea of writing to engage others, that is certainly a possibility with Journalism Jobs. Being an aspiring writer means that you might have a deep appreciation for language. If so, Enago would be a great place to source work. This company provides a variety of English language editing jobs, employing editors all over the world. You don’t even necessarily need to be a native English speaker – you can work having English as your second language, providing editing services for a range of different subjects. This company allows great flexibility, and a number of jobs are available based on expertise. Enago is a great company to consider if you’re looking towards peer review processes and editing work as a writing job. See details here. It doesn’t matter whether you’re a morning person or even if you like coffee. This website will save you effort emailing jobs to you when you’re looking and work comes in. A number of different copywriting and writing jobs are available via this site. You can sit back and relax to a certain extent. Let Morning Coffee Newsletter take some of the edges off. A lot of freelance writing sites actually get you to fill out a lengthy form and questionnaire before you sign up. Then you must complete your profile before the site offers peanuts instead of lucrative offers. Some even take you through that whole ordeal just to tell you nothing is available. This job board is great because each job opportunity guarantees at least $50 a post, or 10 cents per word, so there’s money to be made here. This is certainly the biggest social network and the go-to site for putting your CV out there. No matter how established you are, put yourself up on LinkedIn because this is a site where prospective clients go looking for copywriters. With a little work on your CV, a bit of tweaking and some clever networking, you can find yourself connections who will build you up towards becoming a well-established copywriter in your field. Check out their jobs section, and join freelance writing groups to gain access to a whole new field of work. You’ll really start noticing the benefits here. The Freelance Writers’ Connection – This group has built a network of more than 10,000 members. Participants provide networking opportunities, community support, and freelance writing expertise to help others advance their careers. LinkEds & Writers – This is one of the biggest groups on LinkedIn for writers, editors and proofreaders. Several subgroups are dedicated to different specialties, making it easy to connect with those who work in a field you find interesting. Affiliated Authors – Go to this group to promote your writing, meet traditionally and self-published authors and to learn just what it takes to make an idea a success. Books and Writers – This group caters to those who want to network to promote themselves as writers. If you've got articles you'd like to market or show off to publishers or other authors, then give this group a try. Consider these seven sites and the opportunities to make lucrative earnings. You might find yourself hustling at the start, trying to negotiate your rates, maintaining your own blog and sometimes being out of work, but this is what everyone must go through. Play the freelance game right, and you can be working whilst doing whatever you want to do with your life, going wherever you please. Good luck in searching for a writing job. Christina Battons is a web content expert in Los Angeles. She is a creative writer who is able to connect various thoughts into a single theme. Christina loves to stay up-to-date on the latest content marketing trends. Her works have been published on Custom-writings.net and other resources. Connect with Christina on Twitter. This is a great list and a helpful post to all writers. One thing though: Enago’s site says: Enago exclusively recruits native English editors from the US, UK, Australia, and Canada. Good luck with your job huntings!